Obituary for Enlow Hargus | Langeland Family Funeral Homes, Inc.
Died Sunday morning October 28, 2018. Enlow was born July 31, 1932 in Livingston, Tennessee a son of Bailey and Lee (Alred) Hargus. 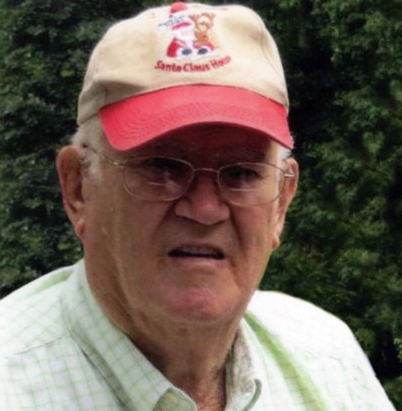 He had been a lifelong Climax area resident and owned and operated Hargus farms for many years. Enlow was also a member of the Athens Masonic Lodge. He was preceded in death by his parents; 3 brothers, Carl, Louis, and Ray; and a sister, Maxine Rothbauer. On August 7, 1965, he was united in marriage to Elaine J. (Burgett) Hargus who survives. Also surviving, a son, Richard (Pam) Hargus of East Leroy; 2 grandchildren; a sister, Barbara Nell of Battle Creek; and several nieces, nephews, and cousins. Services will be held 1 o'clock Friday from the Langeland Family Funeral Homes, Climax Chapel, 205 E. Maple St. Visitation will be one hour prior to the service at the chapel. Private interment will be in East Leroy Congregational Cemetery. Memorials may be directed to Gideon's International. Please visit Enlow's personalized webpage for directions, online guestbook, or to leave a condolence. www.langelands.com.